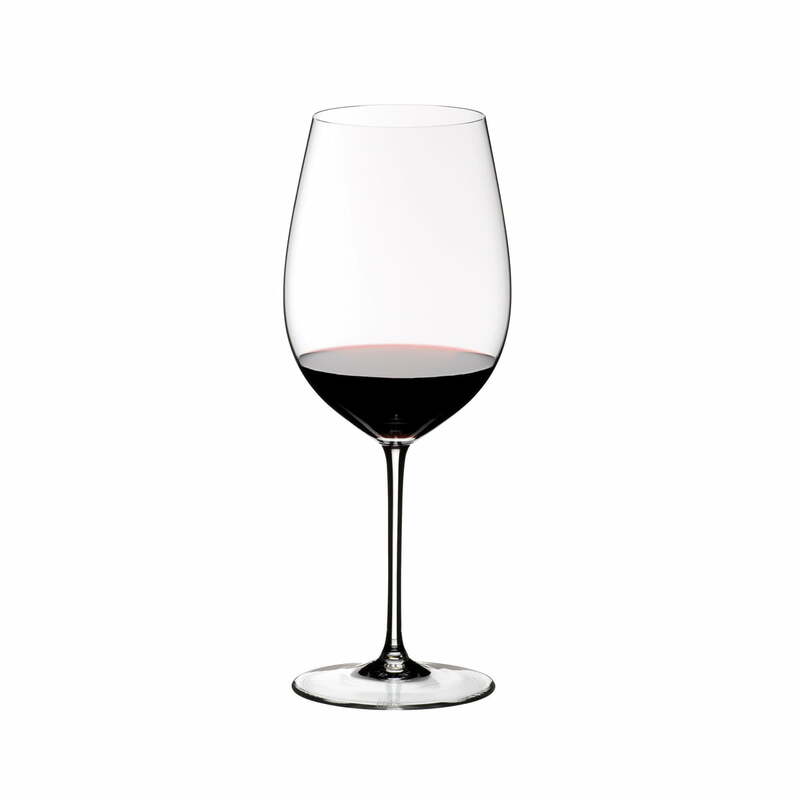 The Grand Cru glass for Bordeaux from the Sommeliers series by Riedel is made of finest crystal glass and features a fine edge for the mouth, as well as the grape variety specific design, which optimally unfolds the aroma of the Bordeaux wine, bringing it to the fore. 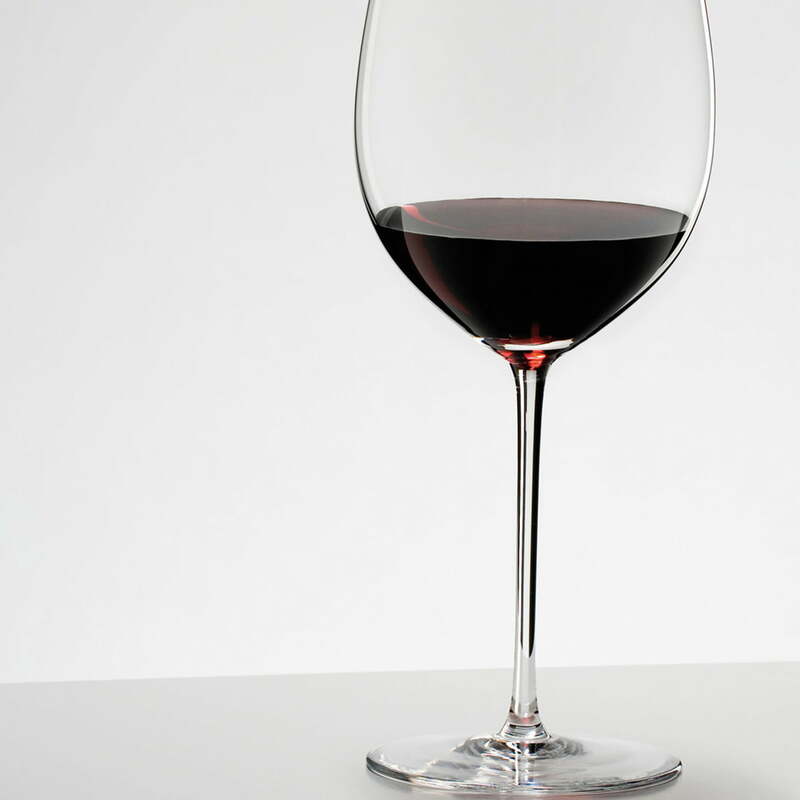 The glass is suitable for Bordeaux, but also for other wines, such as Cabernet Sauvignon, Merlot, Moulis, Pauillac, Pessac Léognan (Rouge) and St. Julien. In addition to the Grand Cru glass for Bordeaux, there is also a grape variety-specific design available for mature Bordeaux. 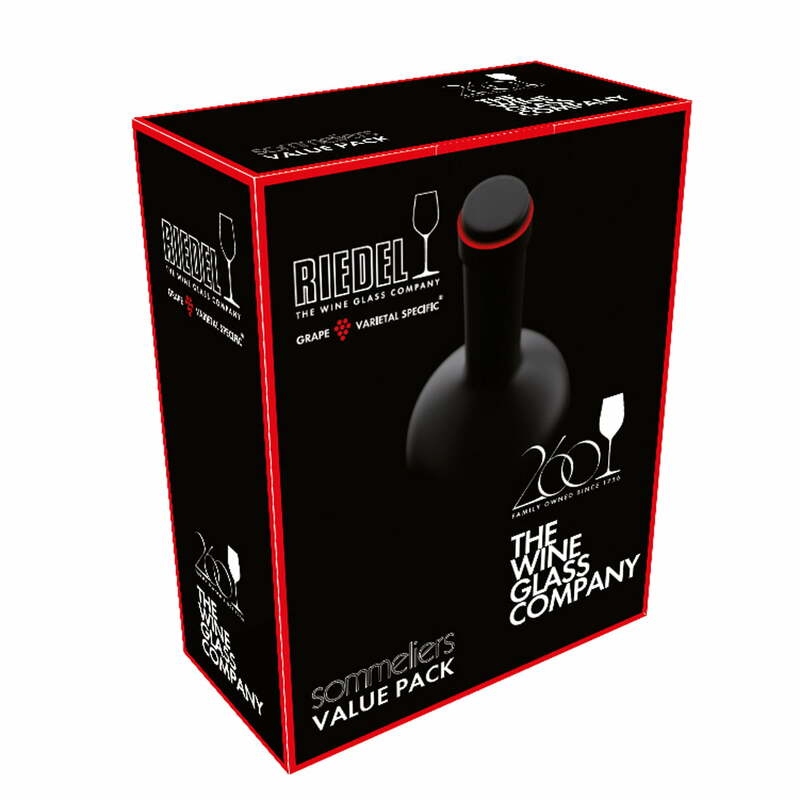 The Sommeliers series was designed in the 1970s by Claus Riedel in cooperation with the Italian Sommeliers Association A.I.S. (Associazione Italiana Sommeliers). 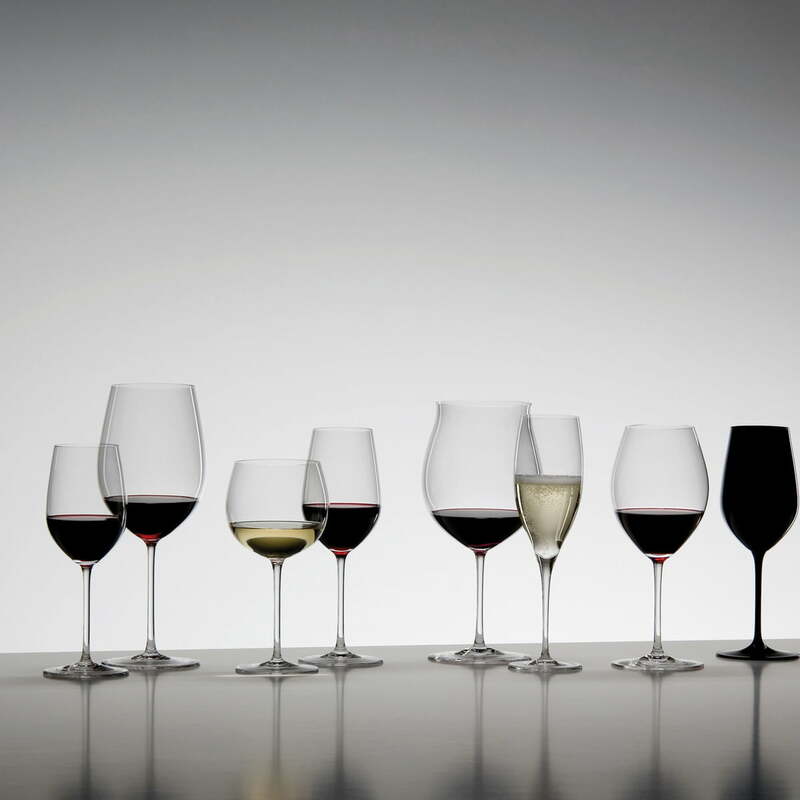 Back then as well as today, the Sommeliers series with 10 different wine goblets sets the standards for wine glasses of any kind and is the most successful hand-made glass series in the world. Each glass of the series is unique and is manufactured elaborately by hand from crystal glass. The top parts are blown in the form whereas the stem and the base are made according to production methods, which were developed in ancient times and even used 2000 years ago in the Mediterranean. On the occasion of the 40th anniversary of the Sommeliers series, the Grand Cru glass in the set of 2 is available at a special price. 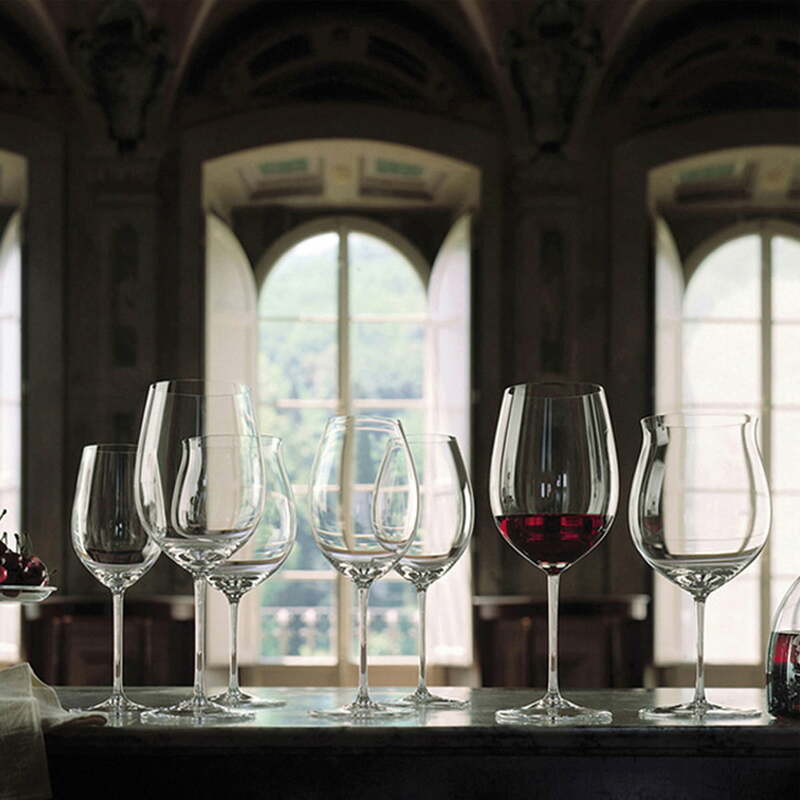 Individual image of the Sommeliers Bordeaux Glass Grand Cru by Riedel. Each glass of the series is unique and is manufactured elaborately by hand from crystal glass. 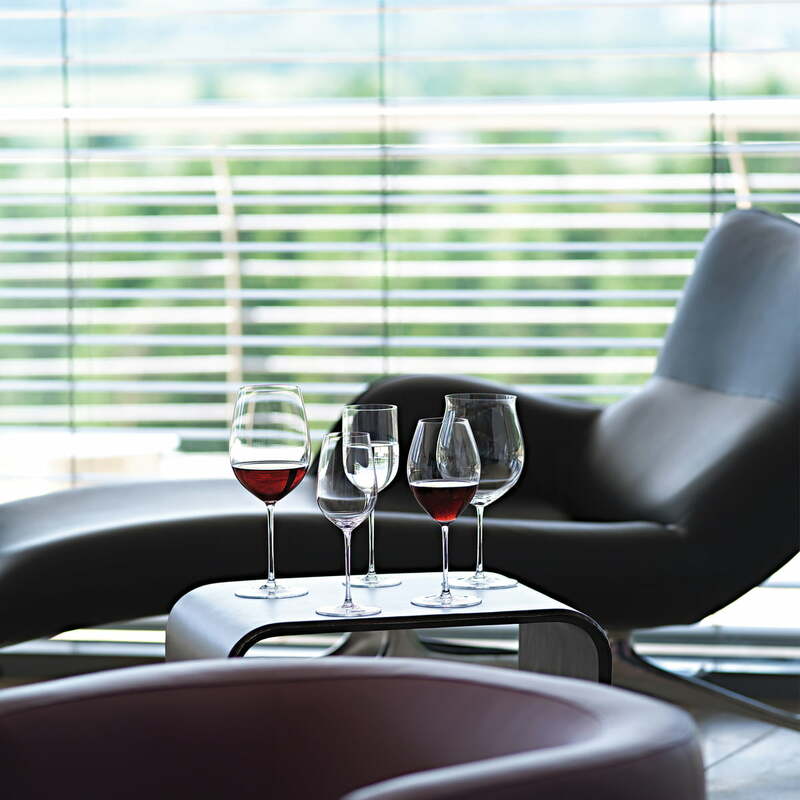 The Sommeliers series was designed by the designer Claus Riedel in cooperation with the Italian Sommeliers Association A.I.S. (Associazione Italiana Sommeliers). 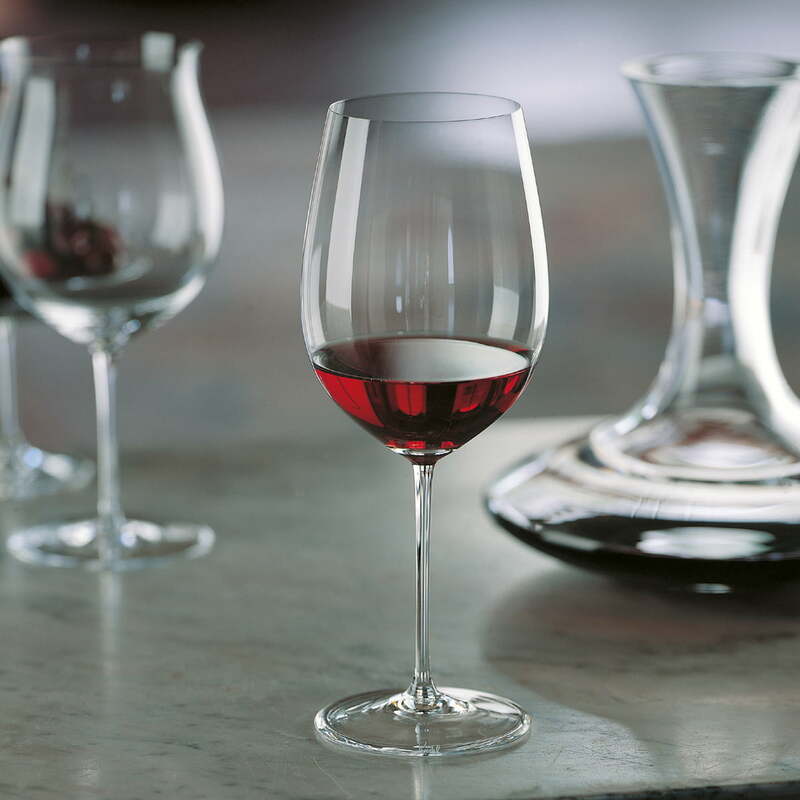 The glasses for Bordeaux and Burgundy from the Sommeliers glass series by Riedel Glas are optimally shaped to release the aroma and the taste of the wine. Whether for Riesling, Burgundy or Bordeaux and champagne or Rosé, the hand-blown glasses of the Sommeliers series by Riedel serve their purpose perfectly. 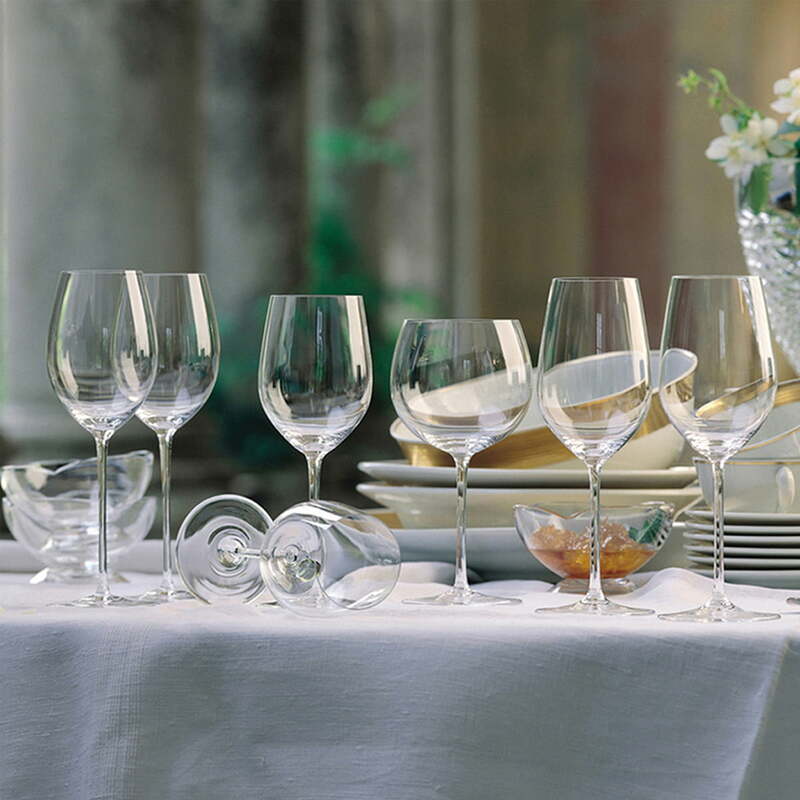 In addition to the wine goblets for the various red and white wines like Chablis, Riesling, Reserva, Burgundy and Bordeaux, and many more, the series includes glasses for sparkling wine, water, grappa, Sherry and tequila, champagne and Co.
Each glass of the series by Riedel is unique and is manufactured elaborately by hand from crystal glass. The tops are blown by mouth into their form whereas the stem and the base are formed by hand.